The way in which you approach your training has a massive impact on your outcomes. 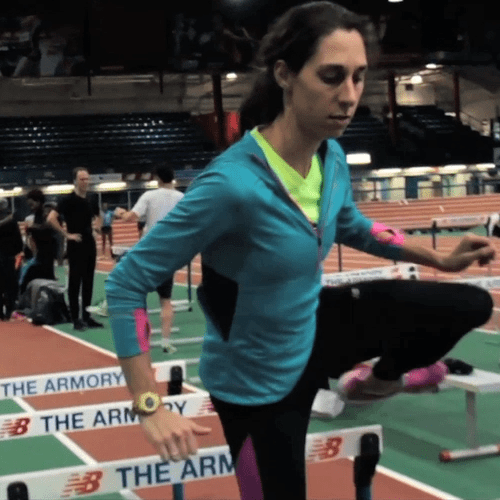 By adopting an approach of Purposeful Practice, you can improve your running. We have all heard the saying “Practice makes perfect.” Unfortunately, it is a myth. The truth is that poor practice makes for poor performance, and can lead to injury. The pressure to be perfect and associated feelings of not achieving perfection can be counter-productive. Many beginners lack confidence as they compare themselves with elite athletes. Even among the elites, however, who is perfect? Meb Keflezighi and Galen Rupp have different styles and strengths, just as every tennis player’s technique is slightly different. Yet, no athlete is perfect. More importantly, the answer does not actually matter for improving your own performance. Rather than focusing on an abstract and potentially harmful notion of perfection, runners should train for improvement or Purposeful Practice. Put forward the best version of yourself, right now. Today. The following Purposeful Practice routine will work for athletes at all levels, including those who exercise socially for enjoyment. Commit to the session. When you are training, you are training, and nothing else. Focus on the session and enthusiastically participate in each component of it. While preparing for your session, identify your goals and purpose: What improvements are you seeking? What are the benefits of this specific session? Which aspects of the training do you look forward to? Consider how you can assist your coach or trainer to inspire and motivate you. Give them feedback about each session so they can build it into your program. Acknowledge your improvements and achievements. Appreciate the excitement of improving and achieving mini-goals. Athletes who follow a training program enjoy an added advantage, because they know what sessions they have scheduled, and the goal of each session, in advance. All runners, however, can benefit from applying a Purposeful Practice routine. Why is it that some people continue to improve through training, while others stay at the same level?